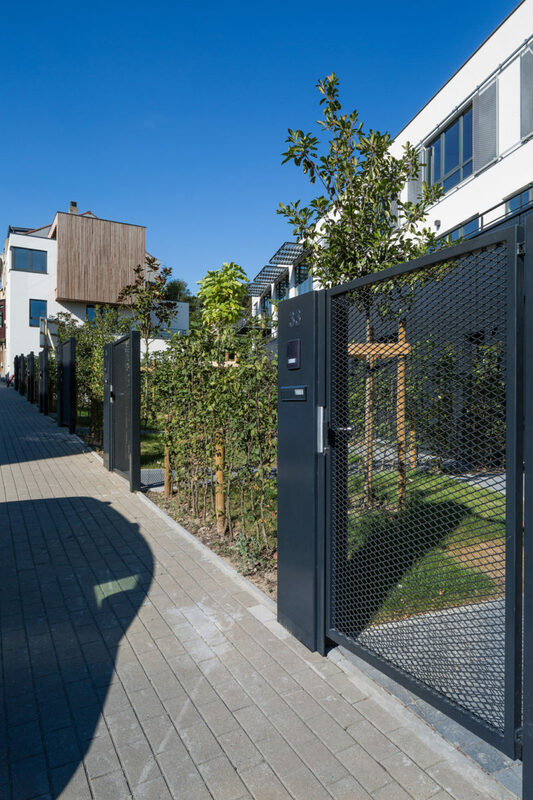 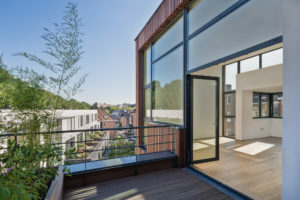 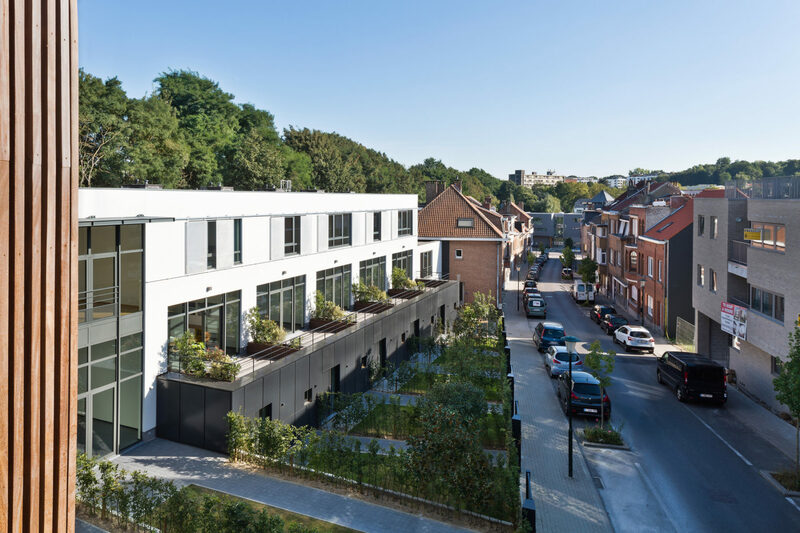 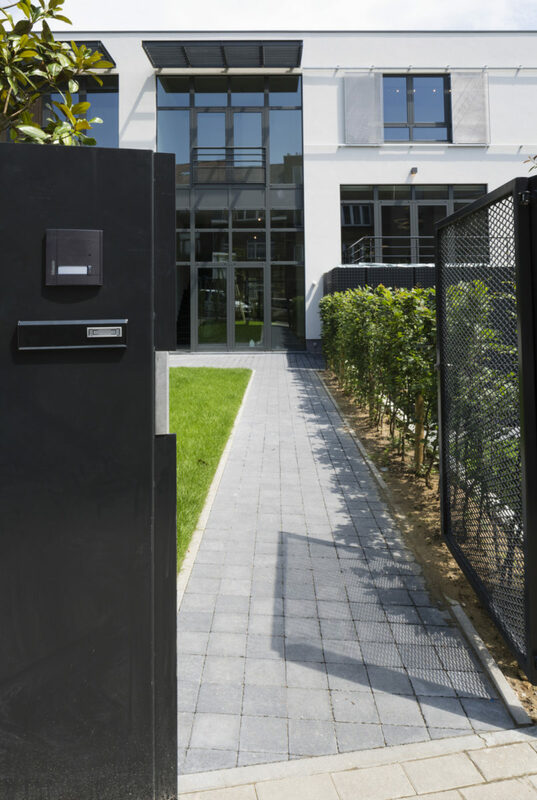 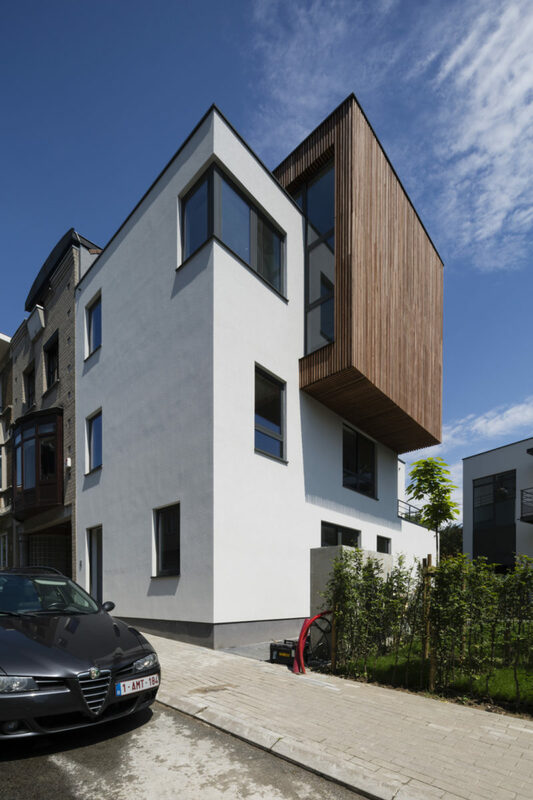 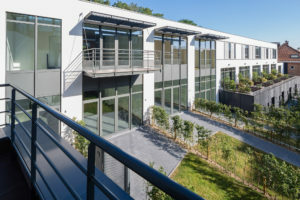 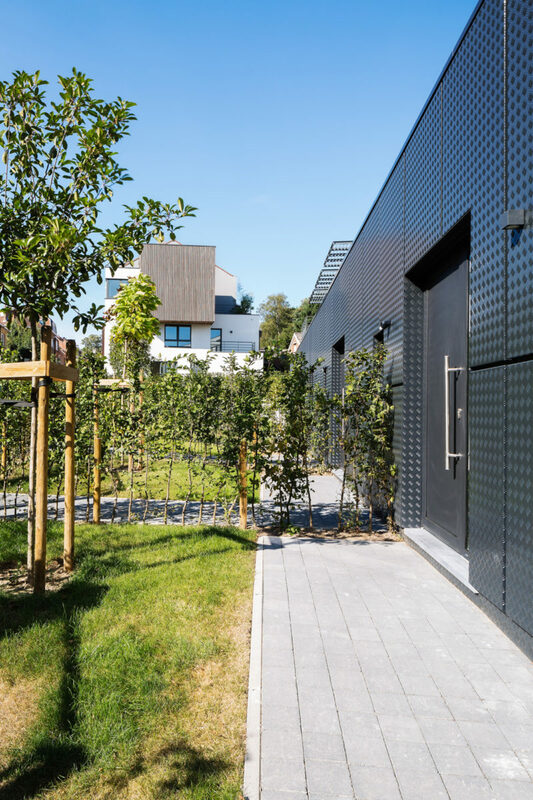 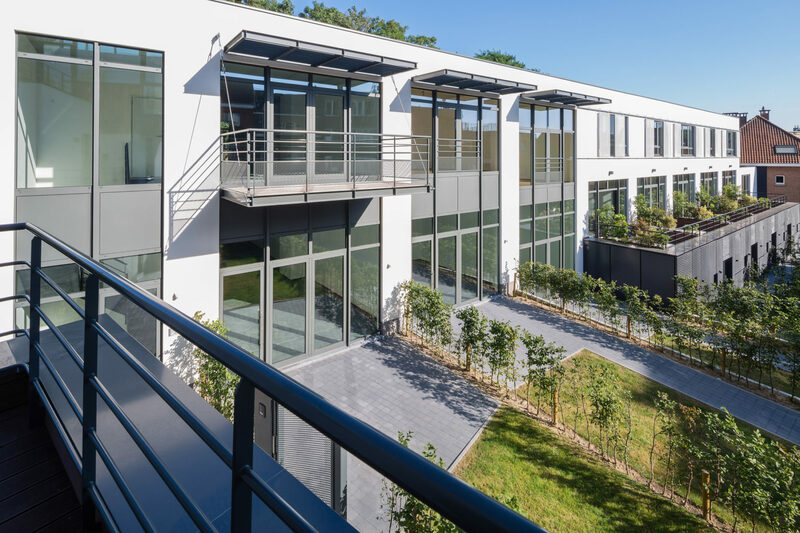 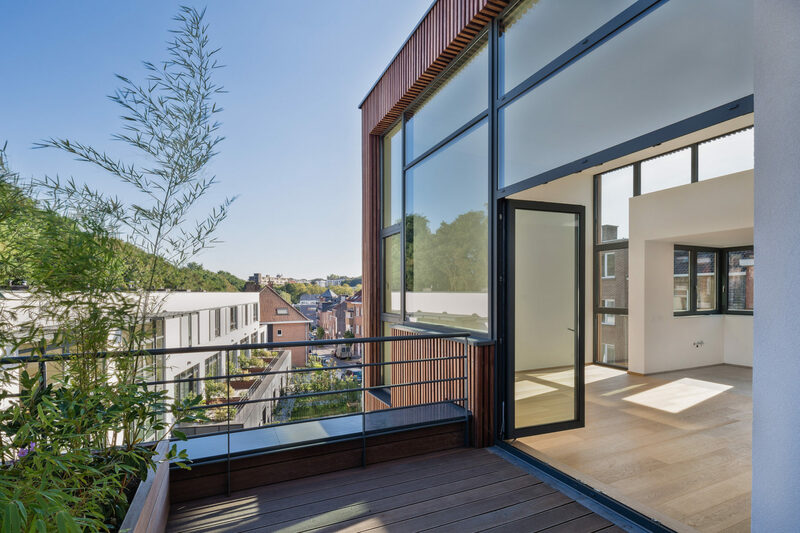 A former hangar situated in a quiet street in the heart of Uccle has been converted into nine three-room residences and completed with a ‘semi-detached’ new building composed of a one-bedroom apartment and a two-bedroom duplex. 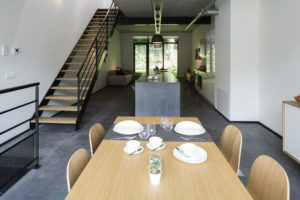 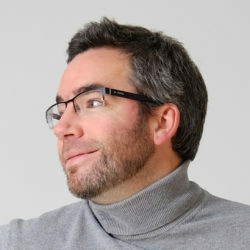 This project proposes a unique and resolutely contemporary architectural concept, subtly combining the comfort of a residence with the architectural spirit of a loft. 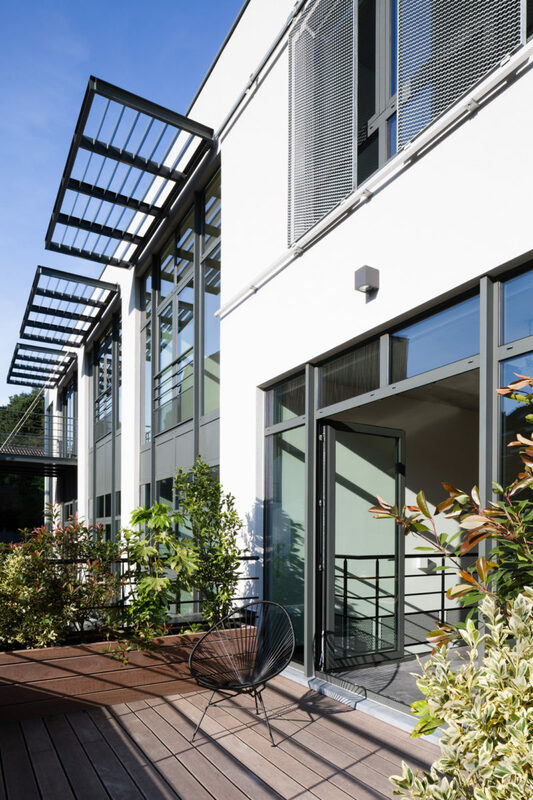 Ideally oriented gardens and terraces complete the project. 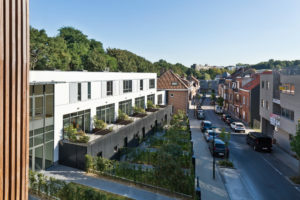 The project contains a communal underground car park for eleven cars and bicycle shed, and private cellar rooms.